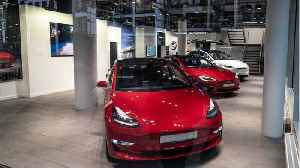 The arrival of the $35,000 Model 3 had been largely anticipated - although it came months earlier than expected - but news that Tesla planned to dismantle its network of stores, a hallmark of its upscale sales strategy, caught many off-guard. In Thursday’s announcement, Elon Musk-led Tesla said prices on all of its cars would be lowered by up to 6 percent. It was the third cut this year for the Model 3 after a $2,000 price-cut in January and a $1,100 reduction last month. “Taken in conjunction with the introduction of the $35k Model 3, we view this (price cuts) as confirmation that demand for Tesla vehicles has softened,” RBC Capital Markets analyst Joseph Spak wrote in a client note. In a note to investors titled “The $35k Model 3 - Genius or Desperation?”, Bernstein’s Toni Sacconaghi, Jr. noted that, “Given its seeming abruptness, it does not appear that yesterday’s announcement was made from a position of strength.” Tesla said it now expects to record a loss in the first quarter. In January it had said it was “optimistic” about being profitable in every quarter of 2019. The company attributed the potential loss to one-time charges and said it would likely be profitable in the second quarter. 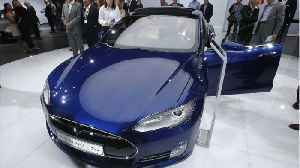 Tesla shares were last down 8 percent at $293.57. 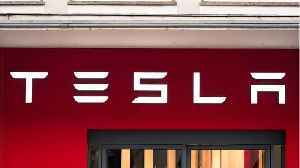 In its annual report released last month, Tesla said it “had established and continue to grow a global network of stores...” Investors have wondered whether Tesla, which has never posted an annual profit, will need to raise more capital to fund its expansion and pay off billions of dollars of maturing debts in coming years. 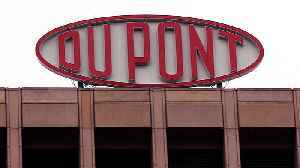 The company is due to repay a $920 million convertible bond on Friday. 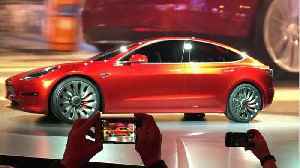 Since unveiling the Model 3 in 2016, Musk has been promising a $35,000 version. A lower-priced Model 3 is seen critical to its long-term viability as it needs to reach more customers who can afford the vehicles to offset slowing sales of costlier sedans. The lower price could expand the Model 3 market by about 600,000 cars in the United States alone, based on historical sales figures for similarly priced sedans, Baird analyst Ben Kalo wrote in a note to clients. The new shorter-range Model 3 will now be less expensive than its gasoline-powered counterparts such as a $37,500 Audi A4, $41,000 Mercedes C Class and the BMW 3 Series priced at $40,000. 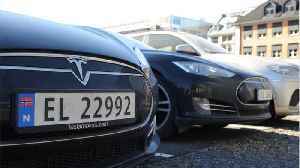 (Reuters) - Tesla Inc shares fell more than 8 percent on Thursday after a bigger-than-expected drop in first-quarter deliveries, led by waning demand for its luxury Model S and X vehicles, added to..
New York (CNN Business)Tesla on Wednesday reported a massive drop in auto sales for last quarter, though the company said it&apos;s confident it will still reach its annual sales goal. About 63,000..
Tesla shares were down almost 9% Thursday morning after the company's first-quarter deliveries fell short of expectations. 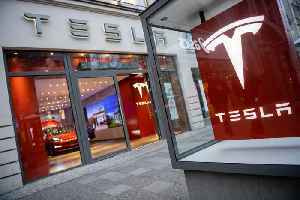 The electric-car maker said that 63,000 vehicles were delivered in the first..
On Wednesday, Tesla announced it had produced 77,100 vehicles in the first quarter of 2019. However, total deliveries are down. Tesla's total deliveries are just 63,000. Analysts polled by Bloomberg..